I had a great experience that will probably never get to happen again. 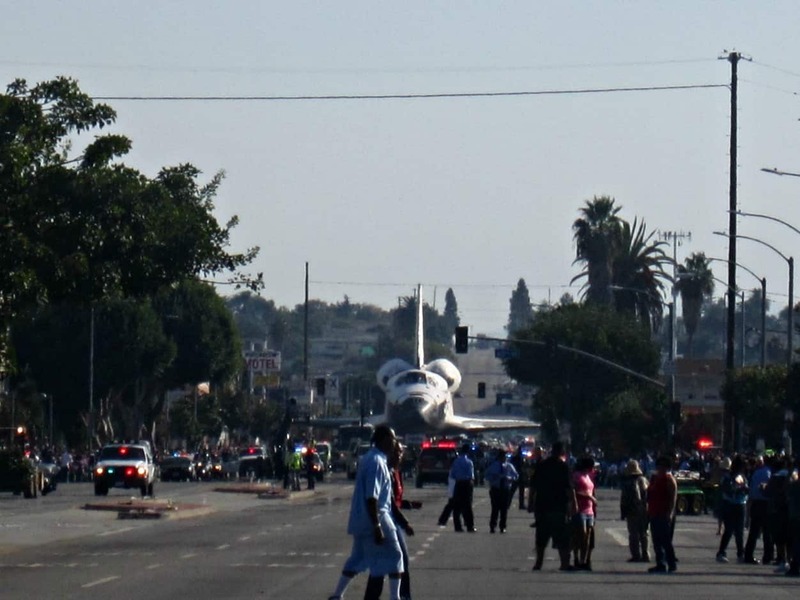 I was able to see the endevour space shuttle as it traveled through the streets of L.A. Since my husband had the car the day it flew all over Southern California we were only able to see it on the computer as it flew on the plane. 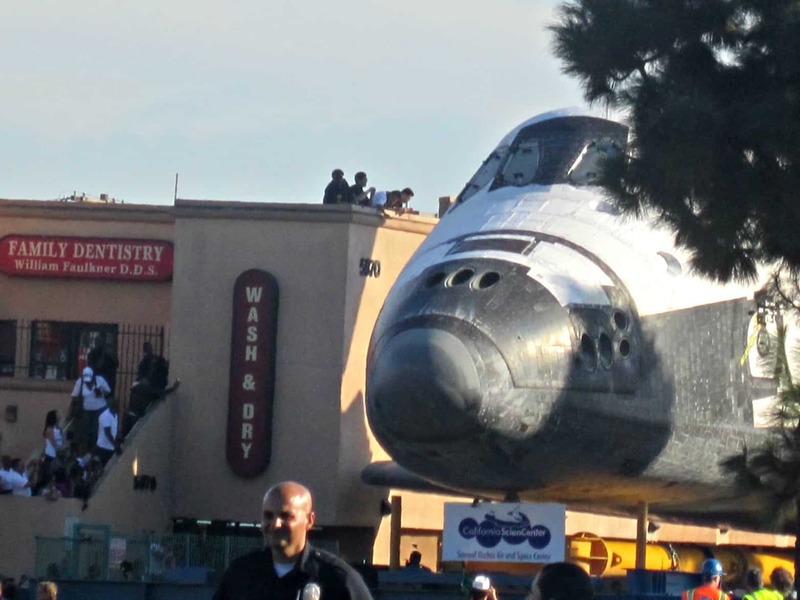 My son was more then excited by that, so when I told him that we would be able to see it up close as it traveled form LAX to the Space Museum, He was REALLY excited. 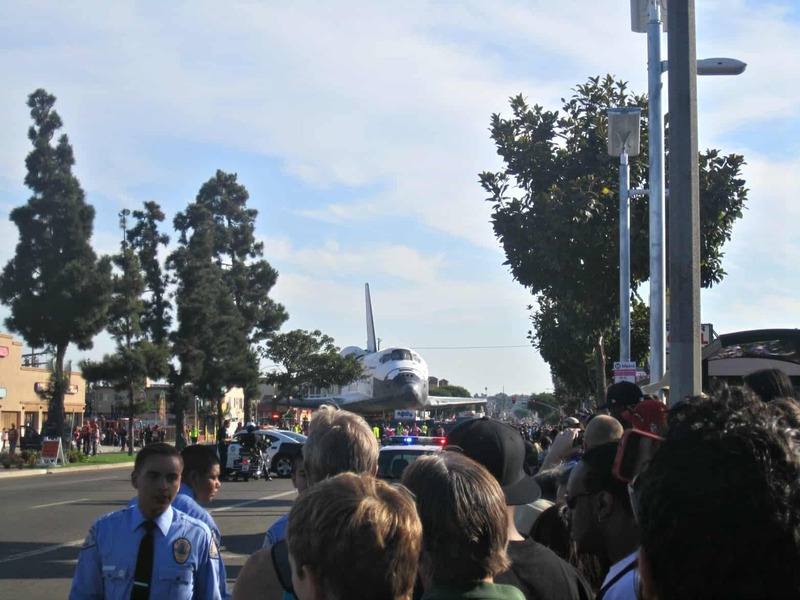 For those who don’t know, the plan for the shuttle was to keep it completely intact while taking it 2 MPH down the street. 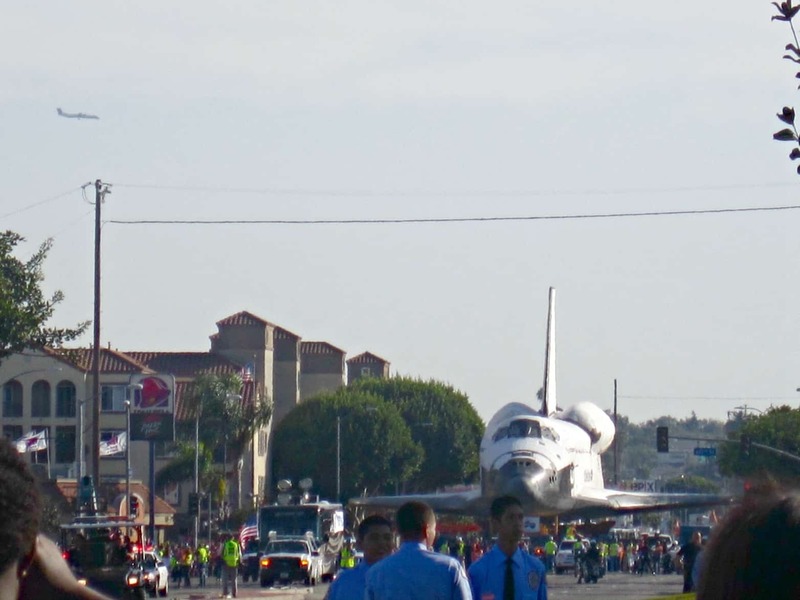 This is no small feat since the wings are HUGE and the streets a lot of time don’t allow for a big space shuttle to get down them. In Houston I heard they had to remove a bunch of trees and light poles to move it to get it on the plane that brought it here. They had to do the same here and it ended up being over 10 million dollars just to move it those 12 miles. So we headed up to L.A. It took us longer then expected because of traffic and there were so many streets blocked off. we had to turn around a couple times, almost got in a car accident and Saw a couple people almost get hit in the process, but we made it there and got the kids out of the car for the “long” (according to my 4 year old) trek to the street it would travel down. And waited….. Oh, it moved so here is another picture. And waited. Until it finally looked close enough to be coming down next to us. Then it started backing up… hu? I realized after a few minutes that they were backing it up trying to get the wings of the ship around some trees and next to a building. As it started to get closer to the trees they had to angle it to the side. This made the wing get scarily close to a building. We all thought it was going to hit the building but at the last minute they turned it just enough to get it by the tree and the building. Talk about precision. We were able to get some pretty good pictures as it went by and I thought I would share this video so you could see just how fast it was moving when it didn’t have trees and buildings to get by. The best part of this trip aside from the once in a lifetime experience is the joy that my kids had seeing it. Both have talked about it for days and now play space games all the time. totally worth the gas and traffic just for them to be a part of this and have the time of their lives! 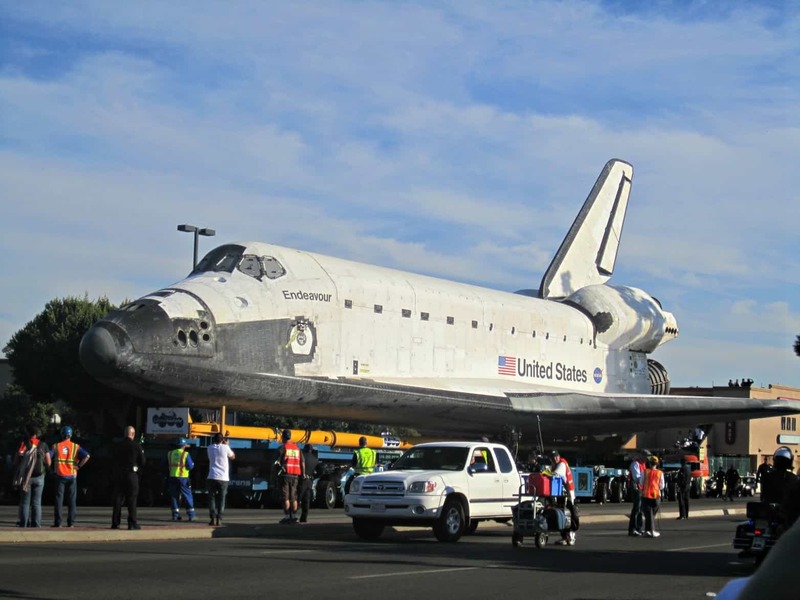 Did you get to see the shuttle on TV or In person? I didn’t see this space shuttle, well a bit on tv I think. 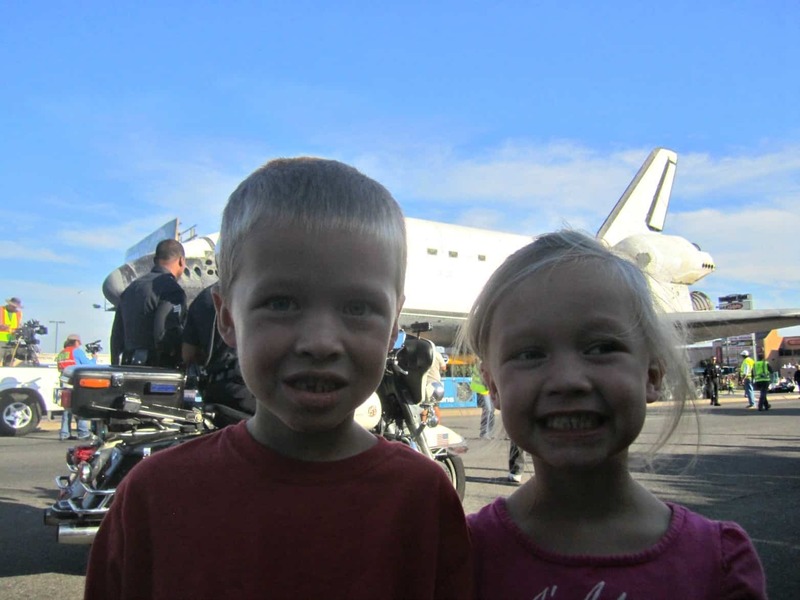 But years ago, when we lived in New Mexico, and space shuttle Columbia landed at White Sands Missile Range. We were able to go out on a bus to see it, since my husband worked there. I don’t remember the name of it. 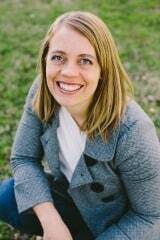 My daughter was 3 1/2 yrs old. It was quite the sight to see. Unfortunately it didn’t make it back the last time it flew…messed up coming back into the atmosphere. We have patches for it when we saw it. 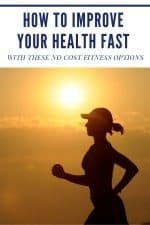 Thanks for sharing your photos. I’m sure it was interesting to see!